Decreased the height of the 'Choose Folder' window for viewing it properly in 1366x768 resolution. Moo0 File Monitor monitors a host computer activity including processor history, disk activity, and a customizable view of file activities (create, write, rename, delete) on one or more drives. File activity is displayed live to demonstrate what applications are modifying the drive. The program can be used to track down programs that are slowing system performance by reading/writing too much from the hard drive or for config files and other changes. HTML log file export available. Note: Program exits by right-clicking system tray icon (thanks Jimmy). How to extract: Download the ZIP package and extract to a folder of your choice. Launch FileMonitor.exe. Added Greek, Hungarian and Chinese (Simplified) languages support. Supported 6 more languages in partial. 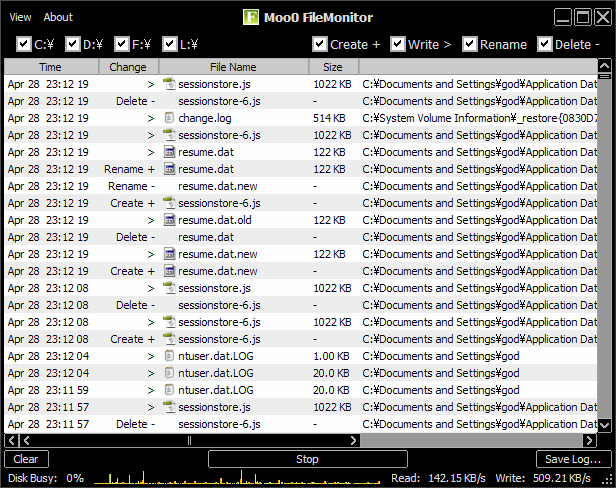 Its English name has changed from "Moo0 FileMonitor" to "Moo0 File Monitor". Moo0 File Monitor version 1.11 automatically saves "SaveData.xml" inside "savedata" folder on first run. 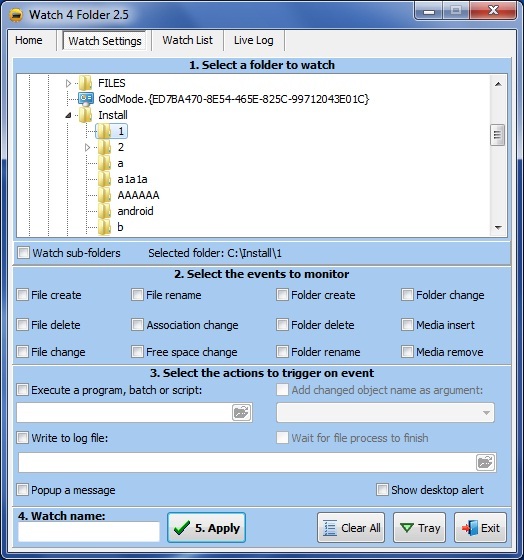 Watch 4 Folder is a simple, lightweight tool for monitoring folder and file activities. The program can monitor 12 different types of events, execute a program or batch file, or show a pop-up message in case of an event. The program can also write to a text log file and allow the user to watch it's changes live. 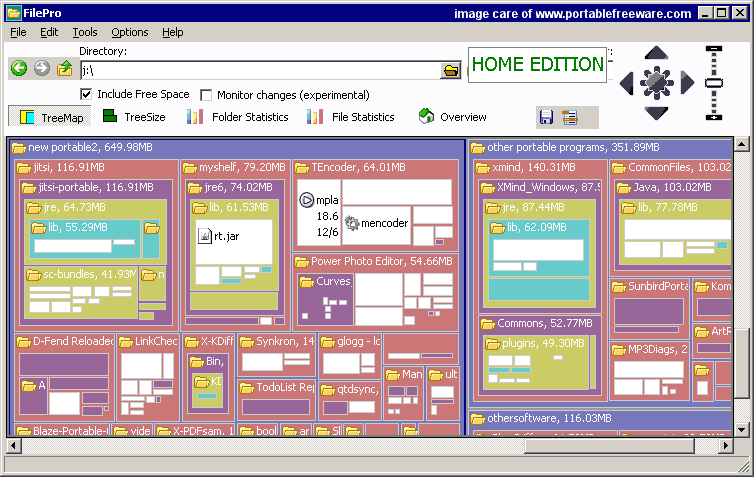 The free version is limited to monitoring a single folder. How to extract: Download the ZIP package and extract to a folder of your choice. Launch W4F25.exe. A major bug fix, when trying to execute a command using arguments on monitored folder with long names - fixed. @ zvikai: Thanks ... and updated.